Front wheel: 18 x 7.5"
Rear wheel: 19 x 9"
My wheels are not the originals but it looks to be of the same size. Already when I bought the car the rear tires wasn't very much left of. I bought two used ones and let the garage mount them. Now after one year of driving it's time to replace the rear tires again. This time I'm not that stressed and could plan it better. I know lot of people buy there tires from Germany and save a lot of money. If others can do it I can do it! 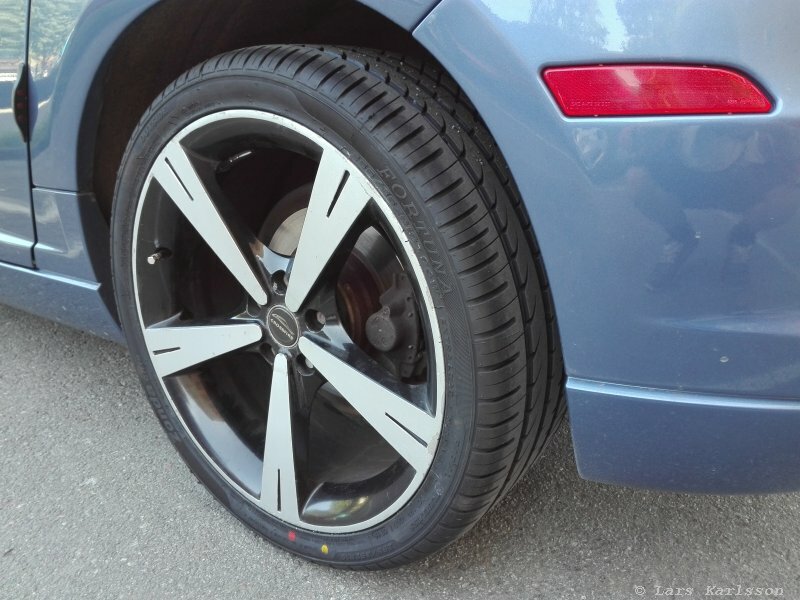 After some research on internet I found two tires of correct size and about 40% reduced cost, of course I now have too pay to get them mounted on the wheels which could be free of charge if you buy the tires at the same place as you mount them. I got them delivered free of charge to the door. 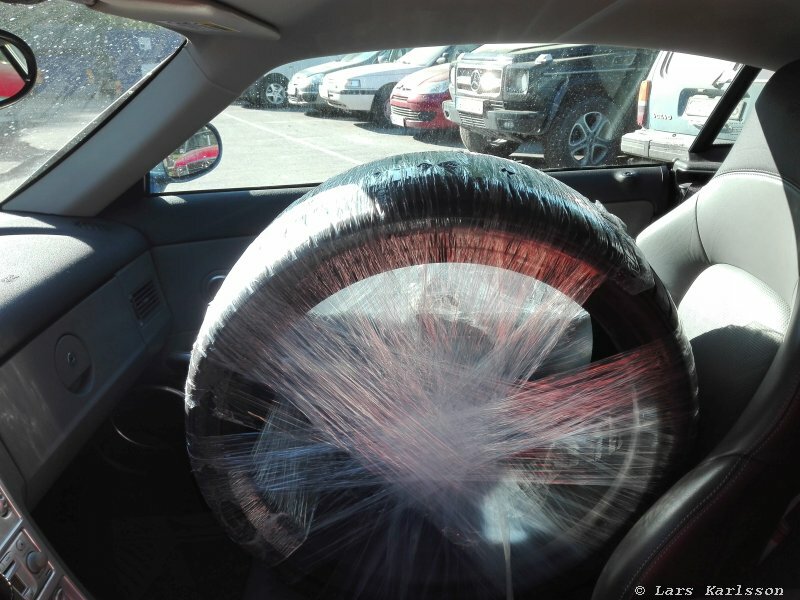 When taking them to the garage I have to take them in the car, my car is very small and the tires are big. After a while I managed to get them squeezed inside the car. This is how it looks after I have the new tires mounted. Nice look and street legal. 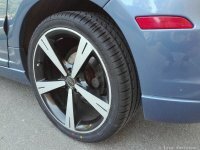 The earlier tires were much more worn on the edges and I have now been advised to raise the tire's air pressure slightly. They look a bit small because the earlier ones was slightly oversized, 265/35 R19".